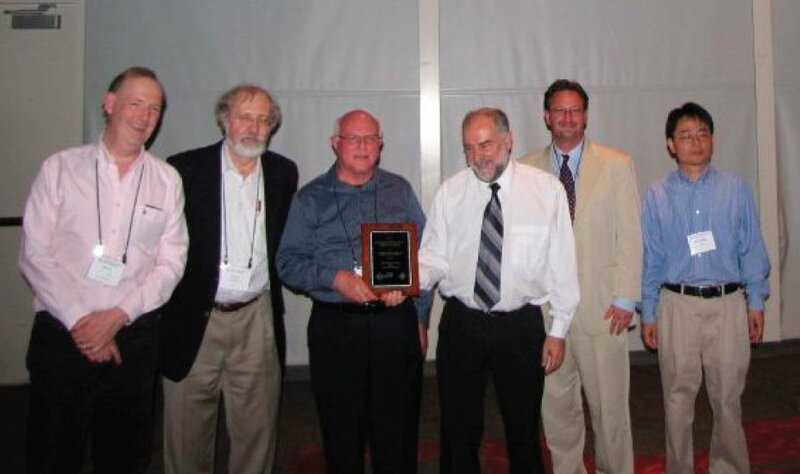 The 2011 Richard D. Jenks Memorial Prize for Excellence in Software Engineering Applied to Computer Algebra was presented by members of the Prize Selection Committee and its chair, Erich Kaltofen, at ISSAC and SNC in San Jose, CA, on June 9, 2011 to the Maple Project at the University of Waterloo. The Prize Plaque was accepted by the two principal founders of the Maple Project, Keith Geddes and Gaston Gonnet. The Prize has a monetary award of $1,000. The Maple computer program for symbolic computation today is a commercial success with millions of users, almost 30 years after the Maple Project was begun. The longevity of the software is a testimony of the dedication of the early implementors at the University of Waterloo and reflects the validity of the design decision made at that early time: a small and efficient kernel, programmed in C, and the high level programming language Maple for the library of algorithms, to which all researchers could contribute their procedures unhindered. The kernel pioneered the use of signatures for identity testing of symbolic expressions. Hand-in-hand with the software architecture, the Maple team, which included several Ph.D. students who are now well-know researchers, made contributions to the efficiency of the algorithms that form the infrastructure of symbolic computation. Examples are manipulating power series, preserving sparseness in polynomial algebra, hybrid symbolic/numeric methods, etc. Early on, Maple had a large user base in part because of its adoption as a teaching tool for engineering calculus.